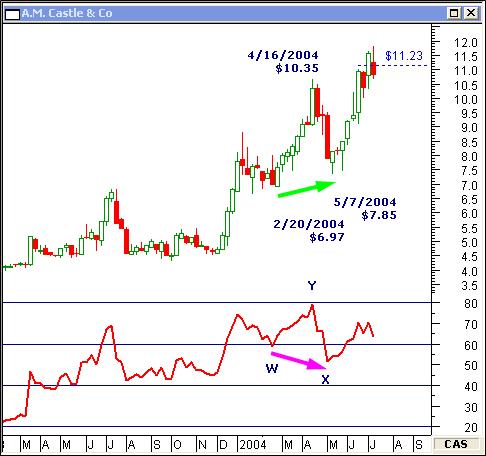 egative and Positive Divergence between a stock's price and its relative strength index can be used to set price targets. Study the following examples to gain a better understanding of this powerful technique. 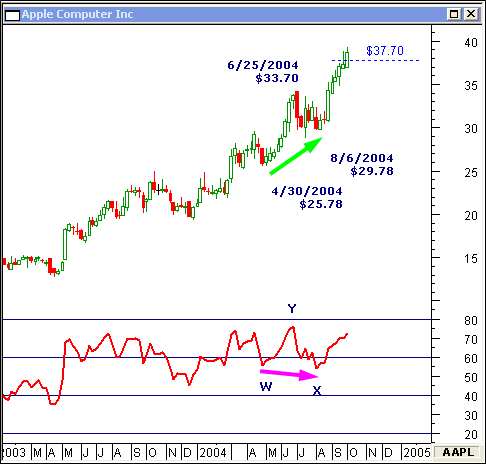 The positive divergence price target was forecast six weeks before it was hit on this weekly chart of A.M. Castle & Co.
On this weekly chart of Apple Computer Inc, you would have realized a $7 gain per share in seven weeks. 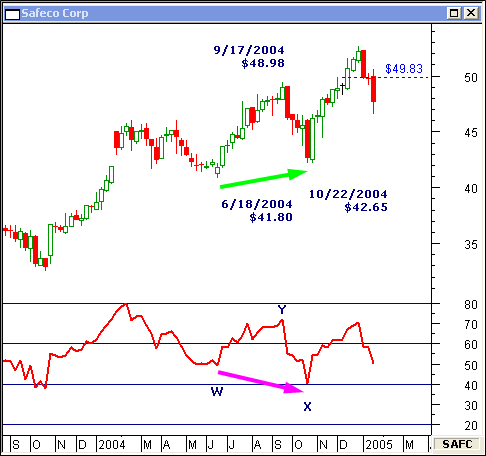 Divergence on this weekly chart of Safeco Corp forecast a respectable gain of $5 per share. Negative Divergence between price and the RSI oscillator is equally predictive. 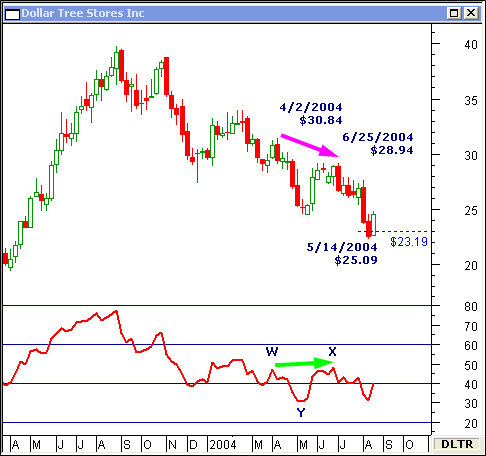 Negative divergence forecasted the seven-week swoon on this weekly chart of Dollar Tree Stores Inc. 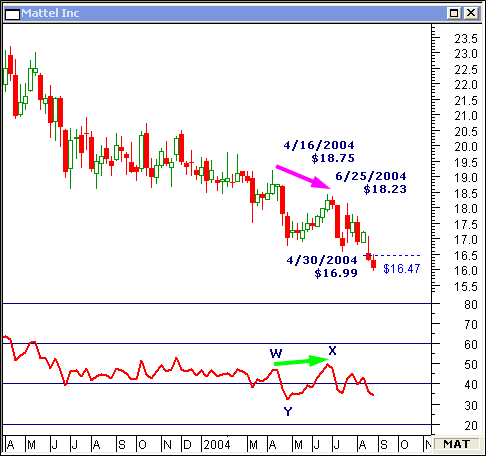 The negative divergence between price and RSI oscillator spelled further trouble for Mattel Inc on this weekly chart. 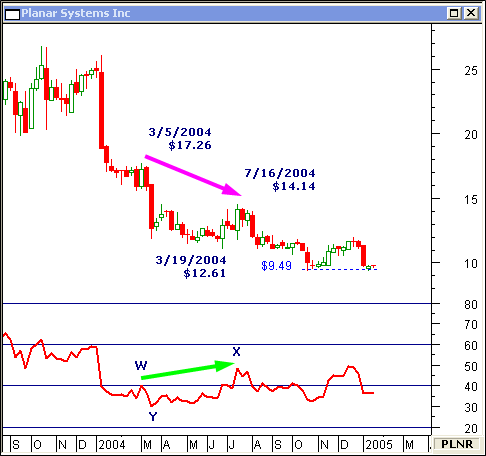 On this weekly chart of Planar Systems Inc, the negative divergence price target provides solid support.